Merry Christmas! For the last several weeks, Max has been asking every day whether or not it is a holiday. He asked again this morning (after he had already opened all of his presents), and he was thrilled to hear that, yes, it finally was an official holiday. I hope all of you are enjoying some wonderful, relaxing time with family and friends. While Mike and the boys are out playing in the fresh, new snow that came last night (how perfect is that?! ), I thought I'd take a minute to write about a wonderful story I just finished. I mentioned at the beginning of the month that I had been wanting to read Henry van Dyke’s, The Mansion. When I was growing up, I was very familiar with The Gift of the Magi. My dad read it aloud to us many times, and we also had the made-for-TV movie starring Marie Osmond (a true treasure if ever there was one). But I had never heard of The Mansion until a couple years ago when President Monson mentioned it in the annual First Presidency Christmas Devotional. 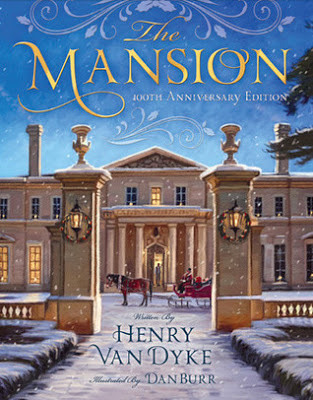 He said that it is a tradition of his to read The Mansion, along with A Christmas Carol and the Christmas Story as recorded in Luke 2 every Christmas. Ever since then, I have been meaning to read it. I finally did last week and found it filled with gems of wisdom and insight. The story is about John Weightman, an important man with substantial influence and power. Among other things, he has funded the building of one school, three small churches, and a wing of the hospital. He is proud of the recognition and respect he has attained through his many good works. One night, he has an argument with his adult son, who would like to give some money to a friend with a life-threatening lung condition. John Weightman thinks it a poor investment since there is no guarantee the young man will live, and even if he does, he may or may not amount to anything which will further the reach of John Weightman’s good name. After the argument, John falls into a troubled sleep where he finds himself traveling on a road with a large group of people who are being taken to the mansions that have been prepared for them. John is the last one to reach his, which turns out to be a humble shack in a desolate field. He is indignant since he has lived such an honorable life. But he learns that it is not just his actions but his motivations for those actions that count in the grand scope of eternity. I couldn’t help but compare this story to A Christmas Carol (especially knowing that President Monson always reads these two texts back to back). Ebenezer Scrooge is a very different character than John Weightman. 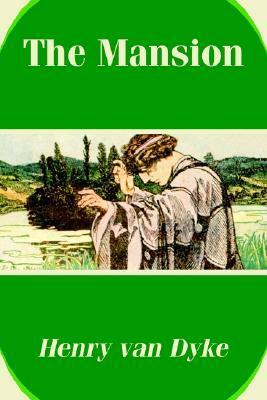 He is miserly, selfish, unfeeling, and, at times, even cruel. He never gives a penny to anyone, and so he is visited by three ghosts to show him how his actions have negatively affected his past, present, and possible future. John Weightman, on the other hand, has filled his life with noble works but only the kind that will be recognized by a large number of people; none of that anonymous donor junk for him. When John Weightman first sees his shack, my first thought was that it was a punishment for his hypocritical actions. But when John demands, “Why have you not built it large and fair, like the others?” the Keeper of the Gate says, “That is all the material you sent us.” This placed the responsibilities and consequences squarely on John Weightman’s shoulders. I loved this angle because I truly believe we are in charge of our own destinies. John invested his time and energy in the things that were important to him, just as every day I choose how to divide myself among the many duties, wants, and necessities I find myself faced with. John chose to spend all of his energy building an earthly mansion and so there wasn’t much wherewith to build his heavenly mansion. But the important thing to remember is that it was his choice. Heavenly Father would have loved to bless him with more. In fact, when the shack is being described, it says that it was “put together with cares and pains, by some one who had tried to make the most of cast-off material.” Heavenly Father always blesses us with the very best He can, and it is always more than we deserve. In this way, this can be seen as a perfect New Year’s story, even more than Christmas. It talks about kindness and goodwill, which are definitely Christmas themes, but it also causes a lot of introspection: Does the person who people see on the outside match who I really am on the inside? Why am I doing what I do? Who am I trying to please? These types of questions inspire great changes for the new year. This story is short and could easily be read in a single afternoon. The beginning is a little slow (I tried to read it aloud to Mike when he was driving, but it was putting him to sleep), and the ending is a little abrupt, but all in all, it is a wonderful story that will fill your soul with Christmas goodwill and propel you to make positive choices for the New Year. Merry, merry Christmas! Wow. This sounds excellent. I can definitely see (like you said) how it compares to a Christmas Carol. Great review.